Match ends, Sport-Club Freiburg 2, TSG 1899 Hoffenheim 4. Second Half ends, Sport-Club Freiburg 2, TSG 1899 Hoffenheim 4. Substitution, TSG 1899 Hoffenheim. Joshua Brenet replaces Nico Schulz. Goal! Sport-Club Freiburg 2, TSG 1899 Hoffenheim 4. Kerem Demirbay (TSG 1899 Hoffenheim) left footed shot from outside the box to the centre of the goal. Assisted by Joelinton. Foul by Yoric Ravet (Sport-Club Freiburg). Mike Frantz (Sport-Club Freiburg) wins a free kick on the left wing. Christian Günter (Sport-Club Freiburg) wins a free kick in the defensive half. Attempt missed. Joelinton (TSG 1899 Hoffenheim) right footed shot from the centre of the box is close, but misses to the right. Attempt saved. Kerem Demirbay (TSG 1899 Hoffenheim) left footed shot from the left side of the six yard box is saved in the centre of the goal. Assisted by Nico Schulz. Attempt saved. Nils Petersen (Sport-Club Freiburg) left footed shot from the left side of the box is saved in the centre of the goal. Assisted by Yoric Ravet. Attempt saved. Florian Niederlechner (Sport-Club Freiburg) right footed shot from the right side of the box is saved in the top right corner. Assisted by Christian Günter. Corner, Sport-Club Freiburg. Conceded by Oliver Baumann. Attempt saved. Manuel Gulde (Sport-Club Freiburg) header from the centre of the box is saved in the top right corner. Assisted by Gian-Luca Waldschmidt with a cross. Attempt missed. Mike Frantz (Sport-Club Freiburg) left footed shot from outside the box misses to the left following a corner. Attempt saved. Gian-Luca Waldschmidt (Sport-Club Freiburg) left footed shot from outside the box is saved in the top right corner. Attempt missed. Joelinton (TSG 1899 Hoffenheim) left footed shot from very close range is close, but misses to the left. Assisted by Nico Schulz with a cross. Substitution, TSG 1899 Hoffenheim. Nadiem Amiri replaces Dennis Geiger. Goal! Sport-Club Freiburg 2, TSG 1899 Hoffenheim 3. Florian Niederlechner (Sport-Club Freiburg) header from the centre of the box to the top left corner. Assisted by Christian Günter with a cross following a corner. Corner, Sport-Club Freiburg. Conceded by Pavel Kaderábek. Attempt blocked. Yoric Ravet (Sport-Club Freiburg) left footed shot from outside the box is blocked. Assisted by Nils Petersen. Substitution, Sport-Club Freiburg. Yoric Ravet replaces Jérôme Gondorf. Attempt saved. Nils Petersen (Sport-Club Freiburg) right footed shot from the centre of the box is saved in the centre of the goal. Assisted by Florian Niederlechner with a cross. Goal! Sport-Club Freiburg 1, TSG 1899 Hoffenheim 3. Andrej Kramaric (TSG 1899 Hoffenheim) left footed shot from the centre of the box to the centre of the goal. Assisted by Kerem Demirbay. Attempt saved. Kerem Demirbay (TSG 1899 Hoffenheim) left footed shot from outside the box is saved in the centre of the goal. Assisted by Florian Grillitsch. Substitution, Sport-Club Freiburg. Florian Niederlechner replaces Pascal Stenzel. 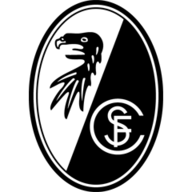 Substitution, Sport-Club Freiburg. Gian-Luca Waldschmidt replaces Lucas Höler. Substitution, TSG 1899 Hoffenheim. Stefan Posch replaces Ádám Szalai. Corner, TSG 1899 Hoffenheim. Conceded by Robin Koch. Attempt saved. Ádám Szalai (TSG 1899 Hoffenheim) left footed shot from the centre of the box is saved in the centre of the goal. Assisted by Nico Schulz. Goal! Sport-Club Freiburg 1, TSG 1899 Hoffenheim 2. Andrej Kramaric (TSG 1899 Hoffenheim) converts the penalty with a right footed shot to the bottom left corner. Penalty TSG 1899 Hoffenheim. Nico Schulz draws a foul in the penalty area. Penalty conceded by Pascal Stenzel (Sport-Club Freiburg) after a foul in the penalty area. Attempt blocked. Pascal Stenzel (Sport-Club Freiburg) right footed shot from outside the box is blocked. Assisted by Janik Haberer. Hand ball by Lucas Höler (Sport-Club Freiburg). Corner, Sport-Club Freiburg. Conceded by Benjamin Hübner. Attempt blocked. Nils Petersen (Sport-Club Freiburg) header from the centre of the box is blocked. Assisted by Dominique Heintz. Oliver Baumann (TSG 1899 Hoffenheim) wins a free kick in the defensive half. Dangerous play by Lucas Höler (Sport-Club Freiburg). Attempt missed. Kerem Demirbay (TSG 1899 Hoffenheim) left footed shot from outside the box is high and wide to the left. Assisted by Ádám Szalai. Second Half begins Sport-Club Freiburg 1, TSG 1899 Hoffenheim 1. 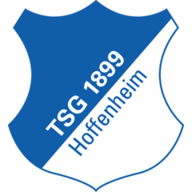 First Half ends, Sport-Club Freiburg 1, TSG 1899 Hoffenheim 1. Attempt saved. Joelinton (TSG 1899 Hoffenheim) right footed shot from outside the box is saved in the centre of the goal. Assisted by Andrej Kramaric. Attempt missed. Christian Günter (Sport-Club Freiburg) left footed shot from outside the box misses to the right. Assisted by Pascal Stenzel. Goal! Sport-Club Freiburg 1, TSG 1899 Hoffenheim 1. Lucas Höler (Sport-Club Freiburg) right footed shot from very close range to the centre of the goal following a corner. Manuel Gulde (Sport-Club Freiburg) hits the right post with a header from very close range. Assisted by Christian Günter with a cross following a corner. Attempt blocked. Janik Haberer (Sport-Club Freiburg) right footed shot from outside the box is blocked. Assisted by Christian Günter. Attempt saved. Robin Koch (Sport-Club Freiburg) header from the centre of the box is saved in the top centre of the goal. Assisted by Christian Günter. Attempt saved. Andrej Kramaric (TSG 1899 Hoffenheim) left footed shot from the centre of the box is saved in the centre of the goal. Assisted by Dennis Geiger. Foul by Dennis Geiger (TSG 1899 Hoffenheim). Attempt missed. Florian Grillitsch (TSG 1899 Hoffenheim) right footed shot from outside the box is just a bit too high. Assisted by Kerem Demirbay following a set piece situation. Attempt missed. Lucas Höler (Sport-Club Freiburg) left footed shot from the left side of the box is close, but misses to the left. Assisted by Robin Koch. Attempt saved. Dennis Geiger (TSG 1899 Hoffenheim) left footed shot from outside the box is saved in the bottom right corner. Assisted by Kerem Demirbay. Attempt missed. Robin Koch (Sport-Club Freiburg) right footed shot from the left side of the six yard box is too high. Assisted by Jérôme Gondorf with a cross following a corner. Corner, Sport-Club Freiburg. Conceded by Nico Schulz. Goal! Sport-Club Freiburg 0, TSG 1899 Hoffenheim 1. Joelinton (TSG 1899 Hoffenheim) left footed shot from the centre of the box to the bottom left corner. Dennis Geiger (TSG 1899 Hoffenheim) wins a free kick in the attacking half. Attempt blocked. Kerem Demirbay (TSG 1899 Hoffenheim) left footed shot from outside the box is blocked. Assisted by Andrej Kramaric. Attempt missed. Lucas Höler (Sport-Club Freiburg) right footed shot from outside the box misses to the left. Assisted by Alexander Schwolow. Christian Günter (Sport-Club Freiburg) wins a free kick on the left wing. Attempt blocked. Mike Frantz (Sport-Club Freiburg) right footed shot from the centre of the box is blocked.